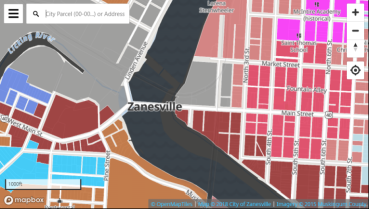 This map shows the Zoning Codes and Zoning Overlay Districts for the City of Zanesville. The map legend also works as a filter for one or more zoning codes. To find the zoning code for a specific address, click the 'Find Zoning Code' button on the sidebar then enter the address. All final zoning decisions are made by the Public Service Department. 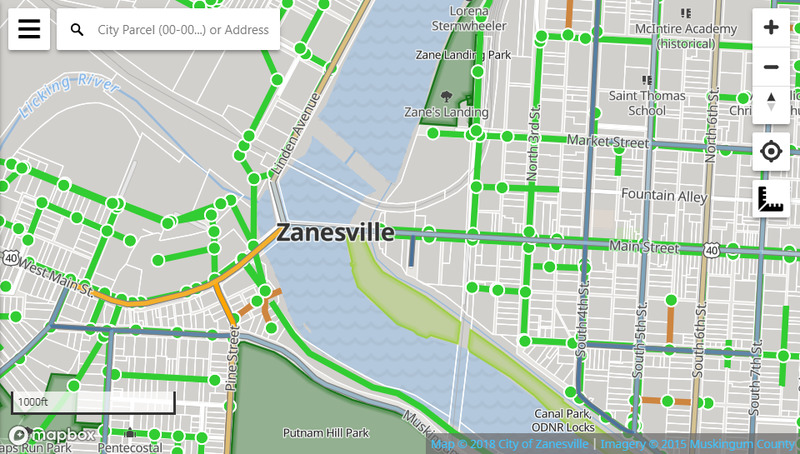 This application provides a glimpse into the City of Zanesville's GIS data via a simple, intuitive, and lightweight custom user interface. The site features an address and parcel search, measure tool, basic print functionality, and a custom layer control. 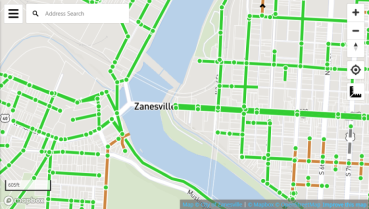 The layers in the sidebar are maintained by the City of Zanesville, Muskingum County, or other authoritative public sources. Mapbox provides the data for all other map layers. The city also publishes targeted map applications such as the Parks Map and the Historic Maps Viewer. Please note that parcels are updated on a monthly or bi-monthly basis. For the latest tax information visit the Musking County Auditor's Website or the link in the popup menu. The maps within this portal are in development. These maps are not for public release. To find the publicly available maps please visit www.coz.org/maps. By clicking "Accept" you agree not to share the maps herein and acknoledge their state as pre-release.